How many times have you revised your cold email template? Are you happy with it? Do you get any interactions off of it? There are a few things you can do to increase your email open rate. Remember that you are competing with all the other emails that your prospects are receiving in their inbox. Your greatest challenge: ensuring you don’t end up in the spam folder! 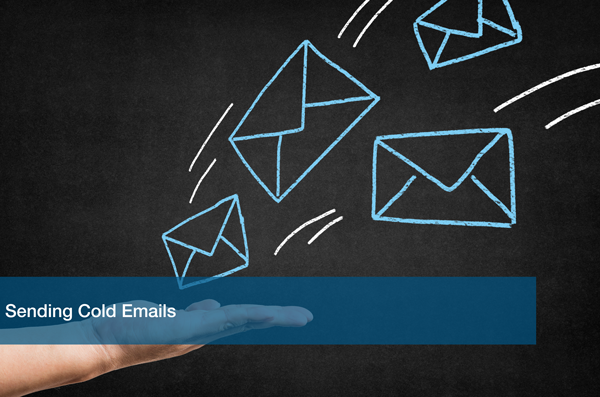 If you want to excel at lead generation you have to have a solid email campaign. Automation is your friend. Once the campaign is set up, it is much easier to add new leads to it. This is the first thing they see, so make it exciting! If your headline doesn’t catch their attention, then it doesn’t matter what’s inside because they won’t read it. Start paying attention to the sales emails you get in your inbox. Take note of what headlines caught your attention. You can use similar models for your email campaigns. It doesn’t have to be the first thing you write. Sometimes after writing the email you will get inspiration for the headline. When planning an email campaign, it’s best to create an outline. Start with an introductory email, then expand a little more. Start broad, then hit more specific points. This way you cover your bases and there’s a nice flow to your emails. There’s no guarantee that they’ll read them in the intended order, but having a nice flow will help the creative process. This is a big one! Really think about the offer you are giving them. It has to be enticing enough for the lead to want to reach out. Depending on your services, you can start with a small discount. Some companies offer free trials so the lead can “try out” their product before making any big buying decisions. You can always change the offer later. You can create seasonal ones for certain holidays for fun holiday campaigns. What’s the next step? If the lead shows interaction during the email campaign, what happens? Have a process in place to follow the email campaign. You can input them to your marketing funnel. You can have your sales team reach out to them to start the buying cycle. What happens if they don’t interact with you? Do you throw the lead away or do you try to reach out a month later? Make sure your marketing strategy includes these scenarios! When it comes to writing cold emails, always start with a warm introduction. Businesses are used to receiving marketing content and can spot a sales email from a mile away. We know that automation is important, but adding that personal touch can tremendously help your click-through rates in the long run. Not sure how to get started? Well, your technology is the first step! Schedule a free IT Analysis with one of our Small Business IT experts to ensure your tech is up to date to handle your incoming sales!